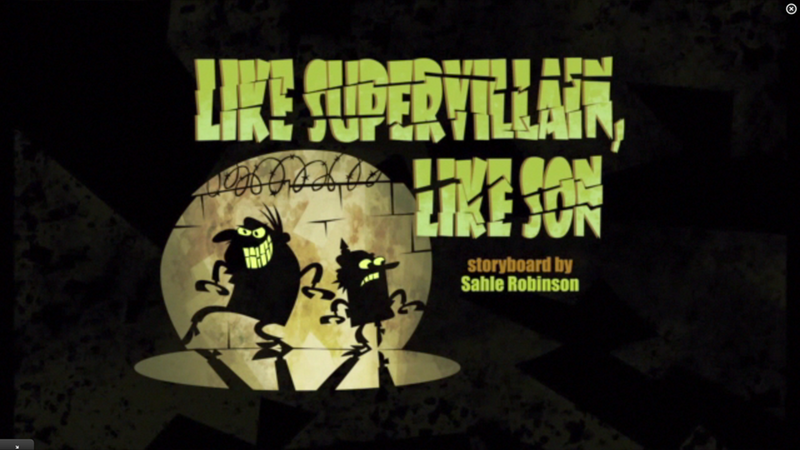 Sidekick: "Like supervillain, like son" 标题 card. . HD Wallpaper and background images in the Cartoon Network's Sidekick club tagged: cartoon network cartoons photo sidekick nickelodeon title card. 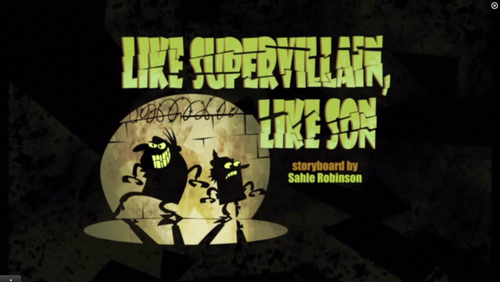 This Cartoon Network's Sidekick photo might contain 标志, 海报, 文字, 黑板, 文本, 灯罩, 灯罩灯罩, 街道, 城市风貌, 城市环境, 城市场景, and 城市设置.